Learn about Certify’s expense management service for businesses. Includes info on Certify, free trials, pricing, customer reviews, and FAQs. 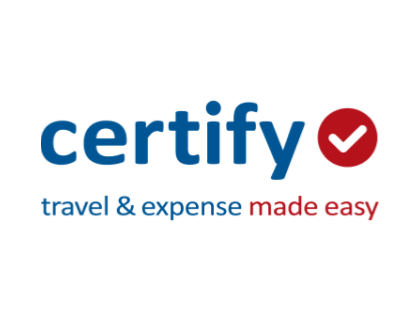 Certify is a travel and expense management platform for businesses. Certify’s solutions include mobile expense and receipts capture, automated expense reports, and Quickbooks synchronization. Businesses can use Certify to streamline billing processes. Certify does not list pricing on their website. You can contact Certify to get a tailored quote based on your business needs. Pros: Fantastic report generation and superb integration with Quickbooks. Cons: The autofill feature is not always accurate which may lead to errors. Bottomline: Excellent solution for travel and expense management. Is there a Certify free trial? Where can I find the Certify login? You can go to www.certify.com and find the “Login” at the top right corner of the homepage. What are some Certify alternatives?